There will be a future Italian Strata post, but this is a take off on that idea made into a muffin. This could be breakfast on-the-go or made into smaller muffin cups for an appetizer. In a large skillet over medium heat cook sausage until browned. Add onion and mushrooms and cook until softened. Add spinach, this will cook down quickly. Set aside. In a large bowl, mix eggs, half and half, cheese and hot sauce. Add skillet mixture and salt and pepper. Pour into muffin cups about 3/4 full. Cook until a toothpick comes out clean, about 20-25 minutes. 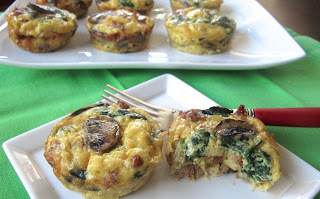 Remove from muffin cups and serve, can also be served at room temperature. A great, creamy warm weather soup, especially if you take the time to chill it! This comes from Martha Stewart recipes, so I am going to post it as it was written. 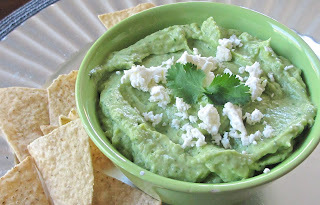 The changes I made to the recipe were to use half low fat yogurt and half sour cream. I also found that it needed a little more acid so added a tablespoon of white balsamic vinegar. I cooked the shrimp in the oven at a 350F. temp. added a clove of minced garlic and Alfies seasoning while it cooked and because the jalapeno was mild, added a little dusting of cayenne to the shrimp while cooking. 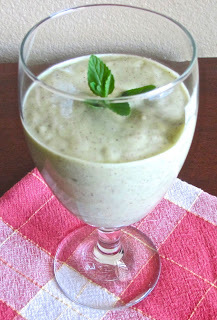 In a blender, combine half the cucumber and 1 avocado with yogurt, lime juice, jalapeno, scallions, 1 Tablespoon cilantro, 1 cup of ice water, 1/2 teaspoon salt and 1/4 teaspoon pepper. Puree until completely smooth. Transfer to a large bowl. Cut remaining avocado into 1/4 inch cubes. Stir avocado and remaining cucumber into soup. Thin with 1/2 to 1 cup of ice water, as desired. Season again with salt and pepper. In a large skillet, heat oil over medium-high heat. 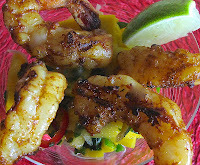 Cook shrimp, turning once until opaque throughout 2-3 minutes. 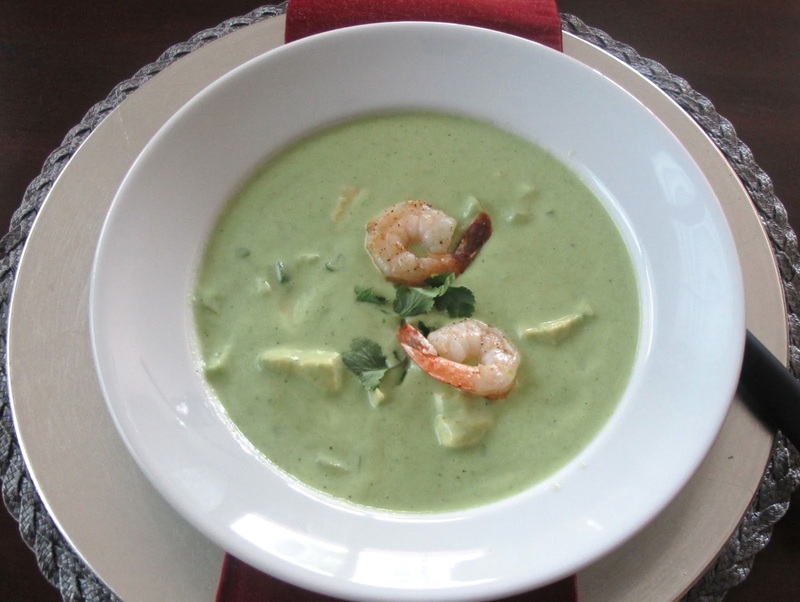 Ladle soup into bowls, garnish with shrimp and remaining tablespoon cilantro. This lemony based salad dressing would be also good with just fresh vegetables and with salmon in place of the grilled chicken. Blend all the ingredients together until incorporated. Set aside. In a glass pan, mix ingredients together and marinate chicken several hours or overnight in the fridge. Grill chicken, seasoned with Alfie's seasoning, until cooked, let rest and then slice. Cook baby potatoes in boiling salted water, when done, drain and put in a non stick pan and heat on low, sprinkle with Alfie's seasoning and some thyme leaves. 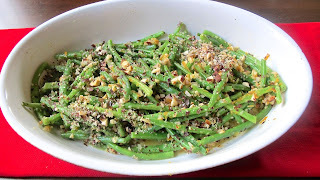 Cook haricot verts and toss with 1 Tablespoon of salad dressing. To put salad together, combine lettuce, celery and green onions in a large salad bowl and toss with salad dressing. Top with green beans, warm potatoes, and sliced chicken. 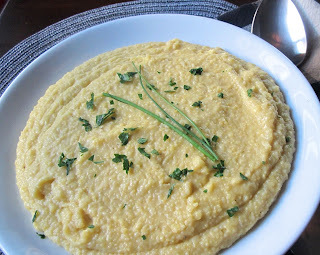 When I think of comfort food, I think of creamy polenta. It is a wonderful base for any Italian sauce, grilled mushrooms or with braised short ribs. Top this polenta with shrimp wrapped in bacon or a quick saute of scallops. Bring stock to a simmer in a heavy saucepan. Add grits in a slow stream, whisking for several minutes to prevent any lumps. Simmer, stirring occasionally with a wooden spoon, until all liquid is absorbed and polenta is soft and thick, about 30 minutes, add more stock or water if needed. Remove from heat and stir in cheese, creme fraiche, salt, pepper and lemon juice. Correct seasonings if needed. Keep warm and covered. 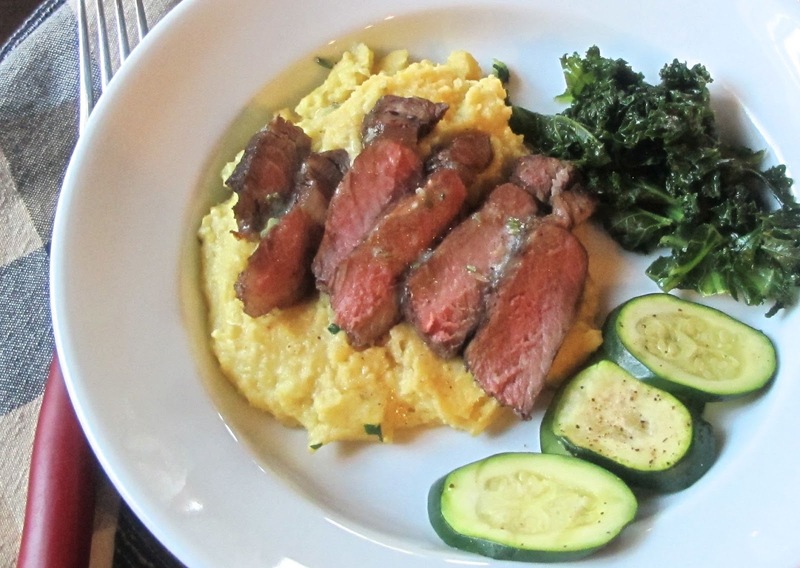 We ordered some grass fed Bison steaks from Tropical Traditions. Bison steaks are leaner than beef steaks and I learned that Bison should not be cooked past medium rare or there is a change in flavor. 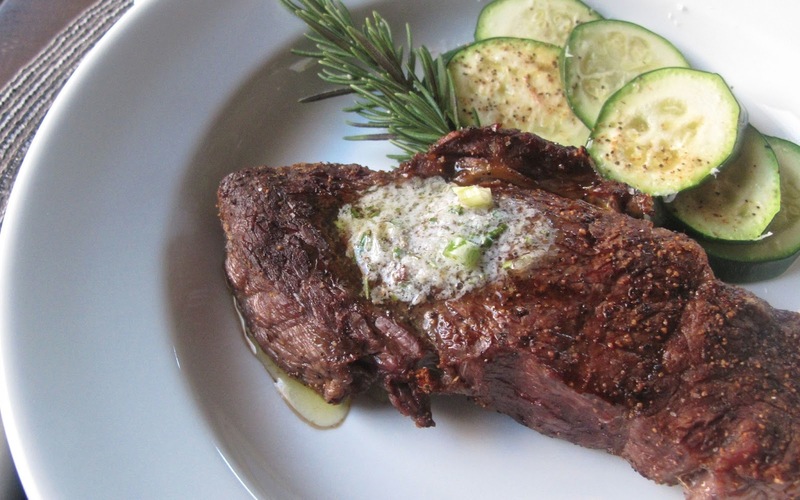 These steaks were seasoned with Alfie's seasoning, grilled and left to rest for about 15 minutes, then topped with rosemary butter before serving. Mix all the ingredients together in a small bowl. On a small sheet of wax paper, spoon butter into the form of a log and roll wax paper around, twist end and refrigerate until ready to use. Slice the chilled butter and top it on rested steak. Any remaining butter can be frozen for future use. After making this dip and serving it with corn chips and crudites, I thought it may be better as a stuffing for a whole tomato. 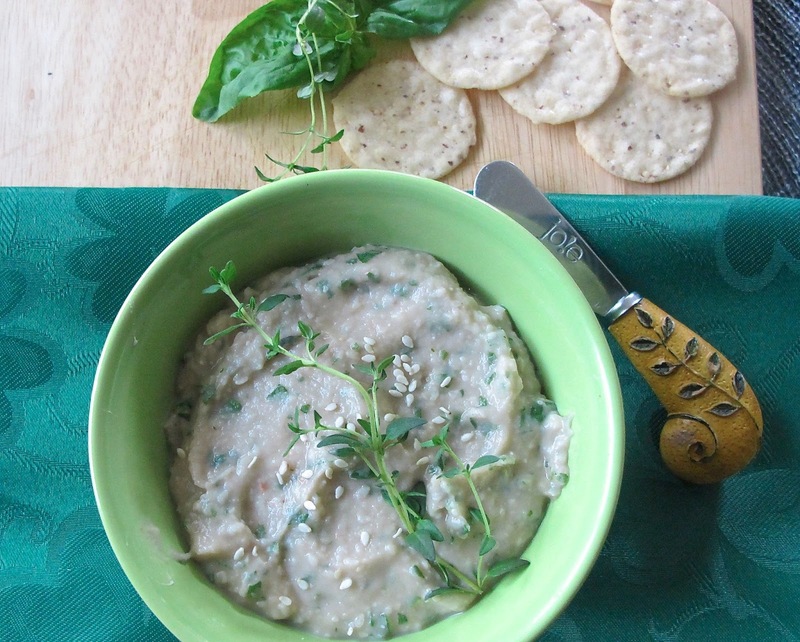 Or if you choose to make it into a salsa, chop up tomato and add a splash of red wine vinegar to the dip. Puree all ingredients together in a food processor until smooth. Check for seasonings, depending on how salty the feta cheese is, salt may not be needed. 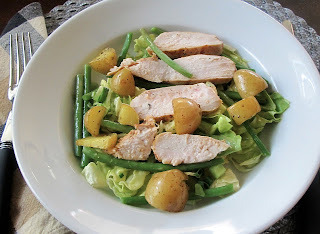 This is a spicy salad, I love it, you will too if you can stand the heat! Alternately, this could be served in little shooter glasses with a smaller shrimp on top as an appetizer. In a large bowl mix together sugar and lime juice until dissolved. Add the chili, shallot cilantro, mint, mango, and jalapeno. 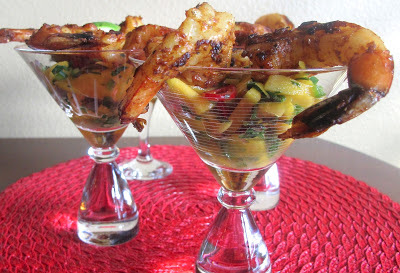 Toss gently to coat the mangoes, set aside.Skewer each shrimp to straighten with a small wooden skewer. Whisk the oil, curry powder, and salt together and brush liberally over the shrimp. Preheat grill or grill pan and grill the shrimp turning once halfway. Cook until just cooked through and slightly charred. Remove and allow to cool. Remove skewers. Toss the mango salad again and divide among 4 plates, topping each salad with 4 shrimp. I found this in the book, Eat to Live, by Dr. Joel Fuhrman and after reading his book I am adding even more vegetables to our meals. This little dip would be great with raw vegetables, lettuce leafs or crisp wheat crackers. 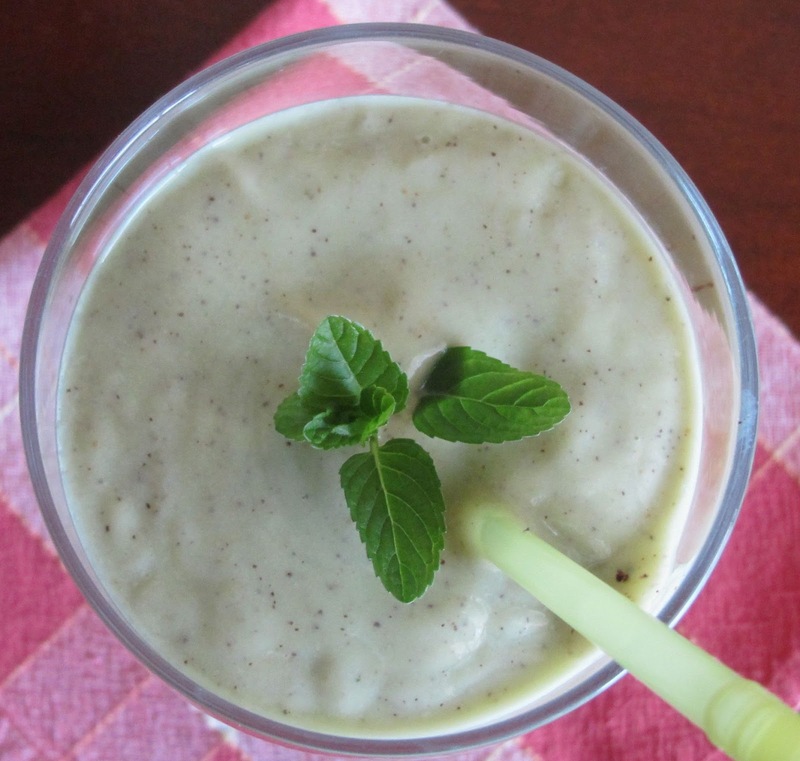 Blend the beans, lemon juice, sesame seeds, vinegar, mustard, and water in a food processor until smooth. Add the basil and thyme and pulse briefly, you do not want to over process; the herbs should be visible in small pieces. This dish holds well while preparing the rest of dinner. The heat from the roasted beans warms the butter and lights the citrus flavors. Wash and trim haricot verts and place on a single layer in baking sheet lined with parchment. In a large serving dish, combine butter, shallots, garlic, orange zest, orange juice, salt and pepper and set aside. Cook haricot verts in oven for 8-10 minutes until they are just tender. While still beans are still hot put into citrus butter and toss well. Sprinkle roasted hazelnuts over top and serve. We make green drinks on a regular basis, and this is more fruit based. The fresh lime starts the morning with a little zing! 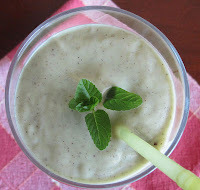 Place all ingredients in the blender in order. These are not exactly like potato chips but they are tasty, light and healthy. Line a baking sheet with parchment or silpat liner. 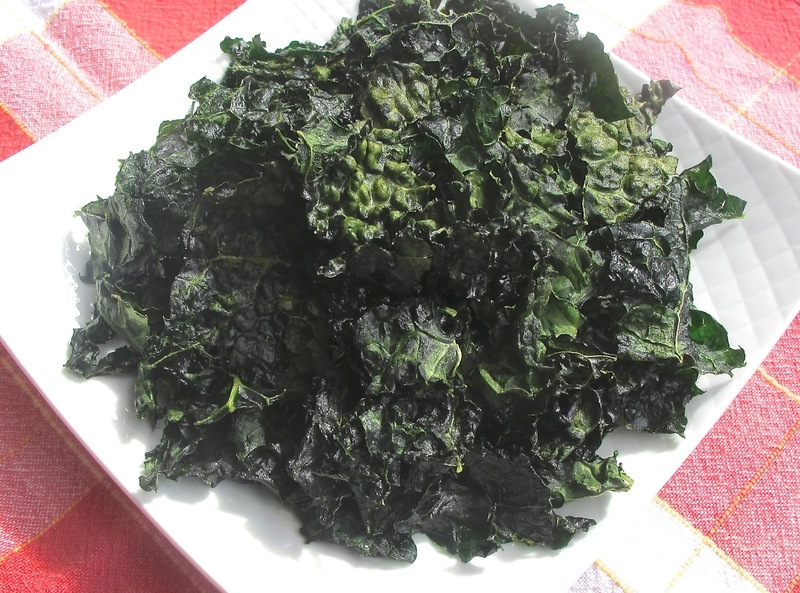 Ensure the kale is totally dry and chop it into bite size pieces. Drizzle the olive oil over the kale and rub it into the chopped kale leaves. Bake for about 20-30 minutes. The kale should be crispy but not browned. I found this recipe in Fine Cooking magazine. It is quick and simple to put together. You could substitute penne pasta for the rigatoni and if you wanted to add some meat, Italian sausage would be a nice addition. In a large saucepan over medium-high heat, heat garlic and red pepper flakes in the oil until fragrant (about 30 seconds). Add the tomatoes and vodka and bring to a boil, reduce the heat to a simmer and cook to intensify the flavors and the sauce reduces by about 1/4, (10-15 minutes). Puree the tomato sauce in the blender and return to the saucepan. Stir in 1/4 cup of the Parmesan, the parsley, cream, salt and pepper. Simmer to reduce the sauce slightly, about 5 minutes. Turn the heat to low, cover and keep warm. Meanwhile, cook the pasta, stirring occasionally, until tender (about 10-12 minutes). Drain well and return the pasta to the pot. Add the sauce and cook, stirring to let the pasta absorb some of the sauce. 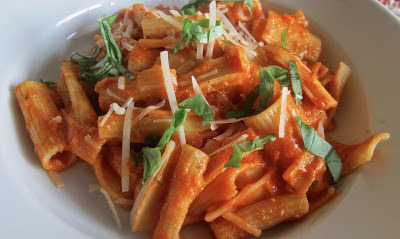 Serve immediately and sprinkle with the remaining 1/4 cup Parmesan and top with sliced basil leaves. 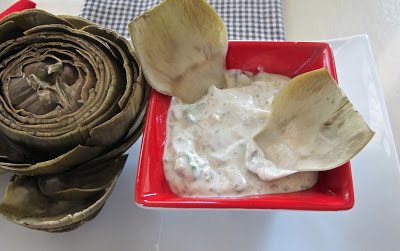 The artichokes were cleaned, prepped, and steamed the day before and chilled in the fridge overnight. The mayonnaise dip can also be made several hours in advance.